Every August I start thinking about the fall garden. My planting chart from the cooperative extension office says I can start fall planting in August, but I have to admit that August just doesn't feel right, because it's too hot. On the other hand, I've learned that waiting too long isn't good, because I never know what kind of winter we're going to get. Some years our first frost is mid-October, other years it's closer to December 1st. Some years our winter temps are mild enough to grow winter greens for us and winter pasture for the goats. Other years everything freezes out. So I'm always in a quandary over when to plant. Recently I read an article at the Sow True Seed website, "Fall Gardening Know How: Root Crops." It shed some light on my gardening dilemma, explaining things I've observed but couldn't figure out why. I've been contemplating this as I clear out space to plant a winter garden. Sprawling sweet potato vines and cardoons. and discovered a few sweet potatoes for sampling. Sweet basil hidden under the sweet potato vines I cut back. According to the article, cool weather crops need warm soil to germinate and begin to grow, but prefer cooler temps as they mature. So if the soil temperature remains above 70°F (21°C) at that time, the roots become tough and woody and the plants bolt (go to seed). This explains why some years my fall garden barely grows but goes right to seed. It happens in spring too. If we have a cool spring I get a harvest. If we skip spring and go right into summer, I get seed instead. So even though I plant according to the suggested dates for my garden zone, our unpredictable seasons don't always cooperate. radish bed I let grow for saving the seed. This year I decided to stop planting according to the calendar, and start planting according to soil temperature. I bought a cheap soil thermometer and started monitoring my garden soil. The thermometer has a nice knob so you know where it is. I checked it almost daily throughout August and early September, but even under the mulch it remained around 84°F (29°C). Finally, after the remnants of Hurricane Florence passed through, the thermometer read below 80°F (26.6°C). That's when I started planting. Hopefully by the time the plants are starting to mature, the soil will be just right for them. Speaking of Florence, our only casualty was my popcorn. I have a lot of planting to do this year, but between the garden and pasture I won't get finished until October. Even so, I'm hoping for a productive winter garden. Is anyone else planting a fall garden? Your highly variable climate sounds like a real challenge, Leigh! Funny you should ask. I have been tossing the idea around in my mind. I put the lettuce, radishes, snap peas and two heritage tomato seeds in about a week ago. They are in the green house. To date one radish has come up with a pair of green leaves. I know better what to expect this year but this is only year two with the green house. The Dinosaur kale starts from the nursery are growing like , dare I say, weeds. I would love to actually put somethings in the ground. I still have my two tomato plants refugees from the sale table at the nursery. One plant is sporting two tomato's and the other three with three more blossoms a few days ago. That is the Celebrity dependent on how it continues to do that may be a good variety for our place. But again not in the ground . I am hesitant because we can have such funky winters here. In the seven years we will be here come Nov. 11 we have had everything from a lot of rain the first winter, to several years of little rain, one year of an extreme cold front from Alaska that gave us lows in the minus single digits and highs in the teens for around three weeks and brought with it 8 inches of snow on my property plus frozen everything. The remaining years were mild winters not much rain and drought time. I am beginning to feel that I don't have enough data to produce much of a cycle but that nothing stays the same but change. I am most interested in your findings on the soil temperature. I have been thinking about that very thing and I will be very interested in how things go at your place making use of it. I am working on a few other projects that will be interesting to see the outcome of. Big steps for the girl who never digs in the dirt. Thanks for sharing! I am unable to fall garden. We planted so late due to rain, and now I'm dealing with rain in order to get it out to till. Yeah...no fall garden for us. The more I read of your gardening difficulties because of your particular weather cycle, I'm convinced every gardener (not just me up here near the tundra!) deals with their own challenges. A lot of people tend to think I'm crazy and beating my head against a brick wall by gardening in our short season, but I do believe gardening in other areas of our country, like yours where we northerners believe you can grow anything, anytime (ha! ), is just as challenging. "We've" never had a fall garden down on my parent's farm because my parents have always been too busy with farming and we've been too busy with the kids school activities. But now that my parents are slowing down and not farming as much, it has been kicked around the supper table. Our first experiment might be a fall crop of asparagus. 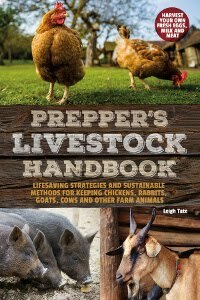 Goatldi, it sounds like some of your gardening challenges are similar to mine in that there are many variables that change from year to year. And there's no way to know! I think a greenhouse would be a big help in figuring it out, but that takes experimenting too. I'm really hoping this new approach helps. I do love those winter greens. Kristina, that stinks. I don't know which is worse, too much rain or too little. Nothing grows well either way! Glen, welcome! Third snowfall already? Good grief, what a contrast! Mama Pea, if you figure it out, you can make your fortune! LOL What you say is true, though. Gardeners face different sets of challenges wherever they are. On the one hand it makes for interesting reading, to see what other people are doing and why. On the other, it's harder to find answers from others' techniques. Ed, that's great! I can see how full time farming and parenting would leave little time in autumn, but I think it will be an interesting experiment to explore. Even if it doesn't work out as expected, I imagine there will be some good eating anyway. Interesting Leigh. I am not sure when our first frost is here, but it can be as late as December. The soil thermometer seems like a reasonable and good measuring device - I think I may get one as well. Eyeballing it, I know September is a little too early but the first part of November is too late. Bettina, the polytunnel sounds perfect for your winter. Especially with a lot of stormy weather! I'm not sure if I'm going to put more poly over my tunnel this year, but you've got me thinking I should at least try. Even without heat they do help with the hardiest veggies if the temps or snow get really cold. Jo, I love that you have a greenhouse. Is it heated in any way? A greenhouse is on my project wish list. I lost my ginger last winter because it got too cold on our back porch. You are right that you have to keep an eye on potential bolting. A few of my daikons have, but most of them are still pretty happy as they are. TB, when I googled it, I found quite a bit of information on planting by soil temp. Enough to hope it will help me have a better garden this winter! So interesting about the soil temps - and makes perfect sense when you think about it! Good luck with your autumn plantings. I've never done it before but am planning to experiment with Autumn plantings in my latest Very Raised Bed - it's one of the reasons I built this one. I'm also tempted to try digging up a couple of my Portuguese kale plants and keeping them going as houseplants through the winter! My goal is more fresh greens options than just sprouts, although at a tag sale a couple of weeks ago I also picked up a fancy set of sprouting jars with little racks and ceramic trays, so even my sprouting "should" be easier this winter...we'll see! Quinn, pot those kale plants! If they do well, you'll meet your goal. If not, well, they'd die back anyway. Experimenting is always worth it. 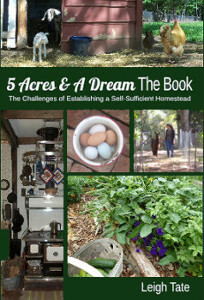 Eliot Coleman's books are really helpful for fall and winter gardening. They helped me learn about the hardiest greens for winter planting plus good techniques. Highly recommended. You know for many years, I tried to get a fall garden in and couldn't manage it on time. Now I understand that for the stuff that takes a long time to grow, you really have to start in mid-June to July (I'm just south of Portland, Oregon). So I finally got my act together and for the last couple of years or so have been able to have winter veg coming from the yard. I currently have carrots, onions, kale, collards, cabbage, peas, favas, a little fennel, and some mustard and mizuna. But I'm struggling with weather vagaries as well, and now my fall and winter gardens seem to be much more productive than my summer garden because everything bolts in the weirdly hot springs we've been having! I'm beginning to think that maybe the way to a more productive garden is to plant everything and see how it does- that can't be any crazier a method than the crazy weather and it just might work. Nothing like taking site appropriate data. I was thrilled when we finally purchased an outside thermometer, so we could take daily temps - rather than using the general meteorological data, provided for our region. It just makes sense to base all your decisions, on what's happening in a site specific observation. Well done for finding the means to measure your soil temps. The mystery has been taken out of all those failures now. Paula, that was something I had to learn as well. For a number of years I would plant late for a fall garden, only to end up with an early spring garden. Seems most seed needs warmth to germinate, it's just what can they tolerate as they mature - heat or cold? Not having a consistent and predictable spring and autumn doesn't help! Chris, I wonder if you found, like me, that your specific temps varied quite a bit from the official readings? I need to get back to recording everything on a daily calendar: air temperature highs, lows, and soil readings! Don't know if I could figure out any patterns, but if I could it might be useful. Leigh, our greenhouse was a hoop house with a pallet bottom. No, it wasn't "heated". We moved a couple of bunnies in there over winter with deep bedding method and rotated them throughout winter. We piles leaves around the outside about halfway up.The composting material kept the greenhouse above freezing. Evn the snow which piled up on the leaves did their part in insulating and reflecting sunlight into the greenhouse. This year, we are utilizing our back porch. We have roll up plastic on the screens. For heat, we'll use two poultry lamps. We've already got florescent lights. We'll just change the bulbs with daylight ones. Good information Jo, thanks. I've been busy planting in my hoop house, mostly winter greens. But your ideas for a little more heat would be worth a try. We used to have a next door neighbor that built covered boxes to start tomatoes, and he put a couple of light bulbs under the soil boxes. Not sure what wattage, but he always had the earliest tomatoes in the neighborhood.